A new study by researchers at the Kaiser Permanente Vaccine Study Center, which is published in last week’s New England Journal of Medicine, is the latest to show that protection from the current whooping cough or pertussis vaccine fades over time. For Blaise Congeni, MD, director of Infectious Disease at Akron Children’s Hospital, the study underscores why it’s important for all children to be fully immunized on schedule. While the current DTaP (diphtheria, tetanus and pertussis) vaccine may not offer the long-lasting protection of the previous vaccination, Dr. Congeni does not want to see a return to the old vaccine. Although effective, the previous vaccine had side effects like swelling and pain at the injection site. Until a new vaccine is developed, which can be shown to offer longer-lasting protection without unnecessary side effects, Dr. Congeni urges parents to make sure their kids are properly vaccinated to lessen the chance of outbreaks that leave at-risk populations vulnerable. This includes young infants who are not protected until about 2 weeks after the second dose at age 4 months, as well as older kids whose prior protection may have diminished. Newborns are the most likely to become seriously ill from whooping cough. According to theCDC, of the 13 deaths this year from whooping cough, 11 were infants and two were toddlers. Whooping cough tends to be more severe for children who have not received any vaccinations. Recent outbreaks also demonstrate why Dr. Congeni recommends the Tdap booster for teens and adults. 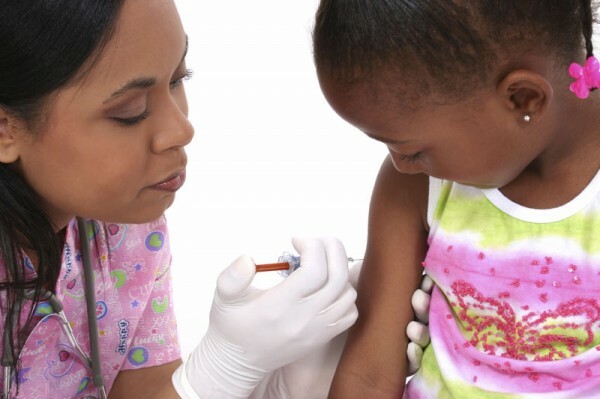 Learn more about vaccines and the recommended immunization schedule for kids.